Street view cars have had to travel untold numbers of uneventful urban highways and side streets, but sometimes the drivers get lucky. These select few get the chance to drive along roads that most of us will only ever dream of. Fortunately, there were a bunch of cameras strapped to the tops of their cars – so we can all enjoy some of the most amazing scenery ever seen from a Street View car. 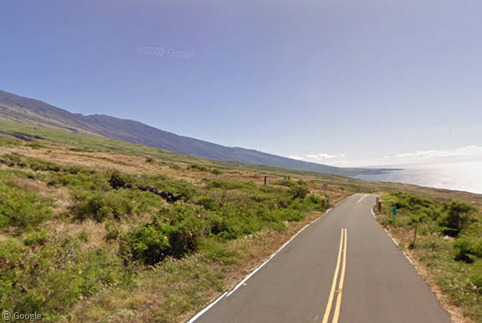 Hawaii is of course well known for its volcanoes, and Google has done a great job covering the island chain’s roads and capturing some outstanding views. Here on the Piilani Highway on the island of Maui the road parallels the rugged coastline for miles and miles, all while gently riding the slopes of Maui’s ancient volcanoes. 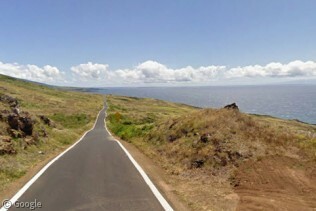 The road is ultimately very narrow, and it was closed for two years due to damage caused by the 2006 Hawaii earthquake. In the extreme southeastern corner of France, the D64 snakes through the Southern Alps and gives us some breathtaking views from high up in the mountains. 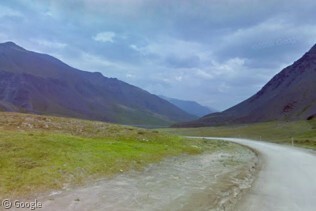 The road is narrow, but that doesn’t stop cyclists and tourists from taking the journey as they are frequently recorded by Google’s cameras. 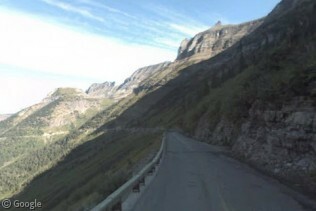 Winding its way up and down through Glacier National Park in Montana, Going to the Sun Road is a favourite among motorcycle riders in the United States. 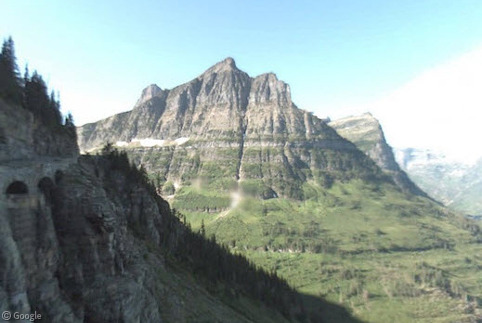 It’s been said that this road has the steepest, sharpest, and maybe even the most beautiful stretches of asphalt anywhere in America, and thanks to Street View, it’s easy to see why it’s so popular. Unfortunately for us, the camera car was using one of the original lower-resolution cameras when it made the journey. Mt. 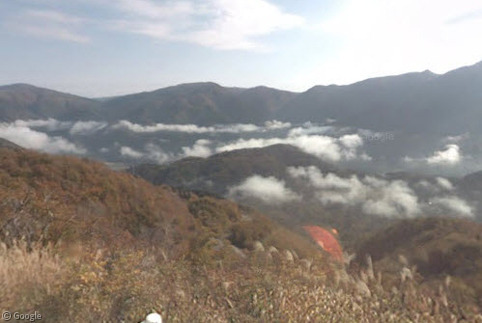 Hakusan is one of three sacred Japanese mountains, and the Hakusan Super Rindo Forest Road is a sightseeing route through the adjacent alpine nature reserve of Hakusan National Park. What this means for us is we get some stunning scenery to check out as the Google car travelled almost the entire length of the road. There are vertical drop, stunning rock faces, and for most of the journey you can actually ride above the clouds! 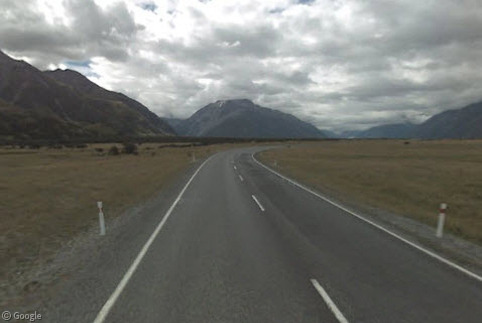 Leading motorists to the highest mountain in New Zealand, Mount Cook Road is a stunning reminder that New Zealand is home to some of the most beautiful landscapes in the world. The route takes us along the western edge of Lake Pukaki, then up to the base of Mount Cook itself. The valley around the road was carved out by ancient glaciers, remnants of which can still be seen today. The Transfăgărăşan in Romania has got to be one of the most breathtaking roads anywhere. Packed with hundreds of turns and thousands of metres of elevations, it’s no wonder that the hosts of “Top Gear” named this road “The Greatest Driving Road in the World”. Thanks to this stretch of tarmac, the journey between Transylvania and Wallachia has become the stuff of legend. The landscape is surreal, and the road itself is intense. Well done Romania! 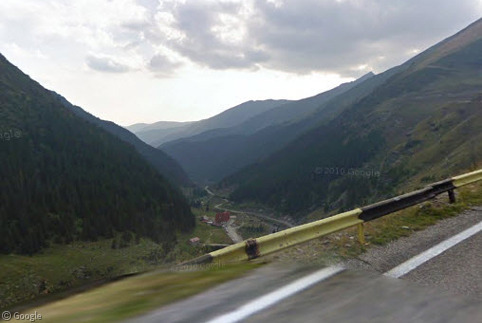 What’s your favourite Street View journey? Indeed, Transfăgărăşan is breathtaking, dangerous and….beautiful. Going to the Sun looks also amaizing. How about the Long Mynd in Shropshire? 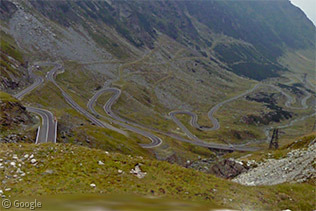 I would vote the Transfăgărăşan as the best of all. 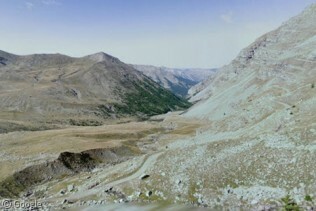 Actually it is worth seeing the whole road in Street View but even better if you travel to Transylvania to see it. It is hard to compete with Romania, but there are a few Alaskan routes that I thought were missing from this list. Here in southeast Alaska, there are only three towns that are accessible by road and each of these roads have some excellent scenery. 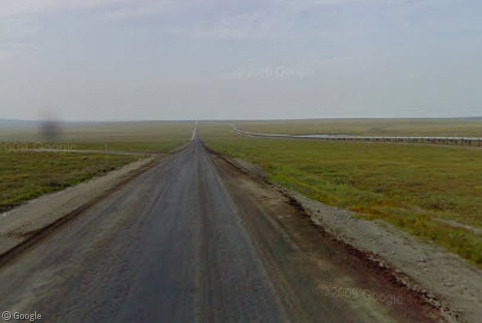 I had no idea that there was any street view data for these roads until today. The most unique view I know of is the scraped rock along the Klondike Highway. I couldn’t find a really great image on street view, but the satellite images give an good idea of the strange landscape that looks like water on the moon. Wow – that’s pretty incredible – a glacier! How can you miss the great ocean road in victoria, australia? 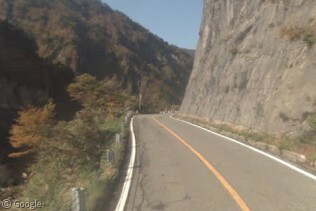 As a motorcyclists these roads make my heart go pitter-patter. It’s not on the same scale as some of the roads mentioned above, but I love the winding coastal road on the Isle of Harris in the Western Isles of Scotland. There are some beautiful, deserted, white sand beaches on the West Coast but it looks like it was a gloomy day when the Stretview car visited (and the tide was in!). 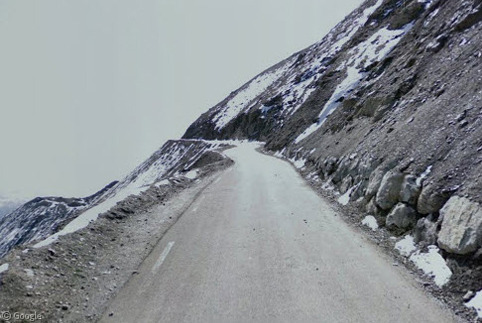 The “D64” you’ve featured in France has a name, well known to cyclists in particular: Col de la Bonnette.